Stephen graduated from George Mason University with a Bachelor's degree in Music Education, where his major instrument was the French Horn. While in college, Stephen was active in CMENC and performed in various ensembles, including the Symphony Orchestra, Wind Symphony, Chamber Orchestra, University Chorale, Horn Choir (which he helped to organize), and Pep Band (including a trip to the Final Four in 2006). Stephen has been playing piano since age 6, and consistently earned high marks in state and local music festivals. He caught the "organ bug" in college, and went on to study under Terry Sisk, and later, Mark King. Since graduation Stephen has been active as a performer and freelance musician in the Washington County area, and has been the organist at St. Stephen Lutheran Church in New Kingstown, PA for nearly 4 years. Stephen plays horn regularly with the Hagerstown Municipal Band, with which he has been a featured soloist, the Frederick Symphony Orchestra, Barbara Ingram School for the Arts musicals, the Hub City Opera, Mercersburg Area Community Chorus, and more. 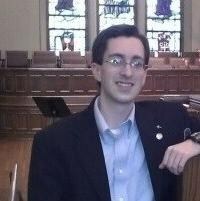 In addition, Stephen frequently plays organ in recitals sponsored by the local chapter of the American Guild of Organists, with which he is the Sub-dean, and has accompanied students on piano at state and local festivals. He has been teaching students of all ages at Music and Arts in Hagerstown for six years, and loves to pass on his knowledge and love of music to others. Request Lessons with Stephen today!